➤THE BETTER BOTTLE: Excellence comes from the details and safe material. BPA-free SILICA GEL(FOOD GRADE) and premium craftsmanship. That's what makes up our superior Sports Water Bottle. The quality paired with excellent customer services makes us the ONLY choice for premium sport water bottles! ➤WIDELY USED: Endures a wide range of temperatures from -40 to 120 degree; use with refrigerated or boiled liquids; crash proof and anti-collision design makes it a perfect companion for bicycling, running, swimming, outdoor activities, extreme sports and more. ➤INNOVATIVE DESIGN: Soft and collapsible design, saves space when it's put away and makes it portable for outdoor use; its innovative air valve allows air to fill up the bottle and stands straight, even when it's empty or contains only a small amount of liquid. ➤DURABLE AND EASY TO USE - 1000 ml bottles are tough, durable and resistant to impact. The special spill-proof top swings open with a one-handed push of a button! And when you're done with our workout, lock the bottle to make it 100% leak-proof and dirt-proof. 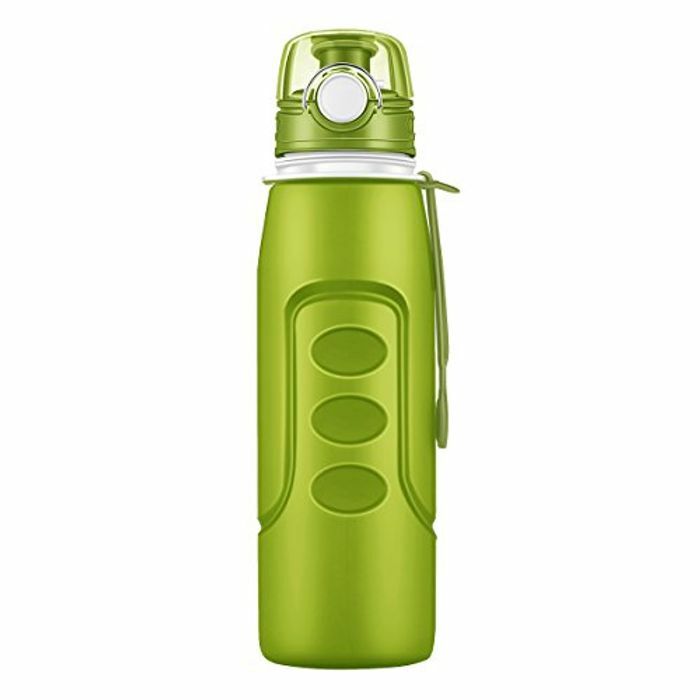 ➤PRACTICAL TO USE: Wide-mouthed design makes it easy to clean the interior or add water and ice; the leak proof one-button switch opens the cap easily. The lock ring prevents the bottle from accidentally opening. Enjoy the outstanding design and convenience of this bottle compared to most products on the market. This is a very good price for the bottle.. My favourite colour, too.. Thanks for sharing.